Get contemporary styling with a spare look in this wall mounted 24 inch clear glass shelf with brass mountings in two finishes. Solid brass wall mounts are available in two finishes: Chrome and Brushed Nickel. 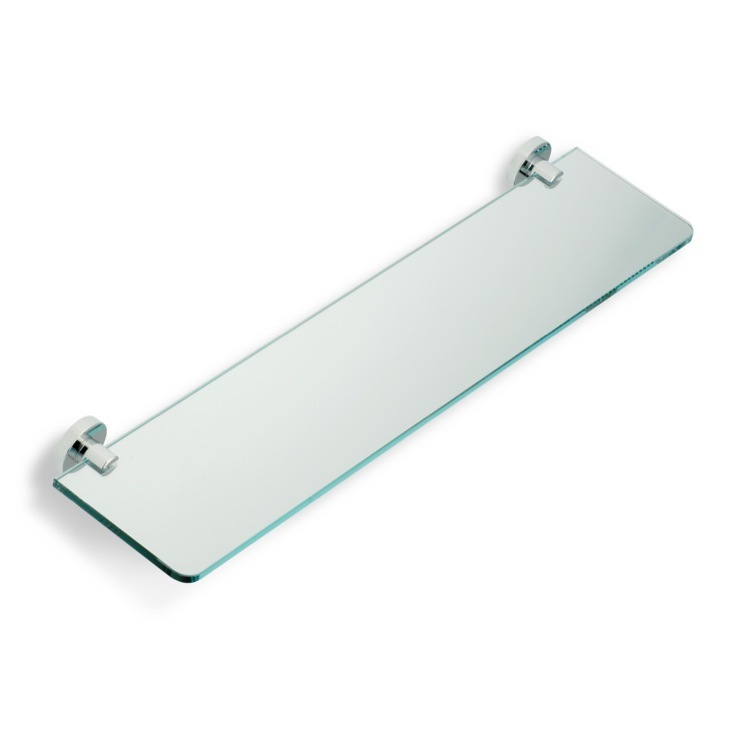 The two foot wide clear glass shelf has gently rounded corners and is 4 1/2 inches deep.